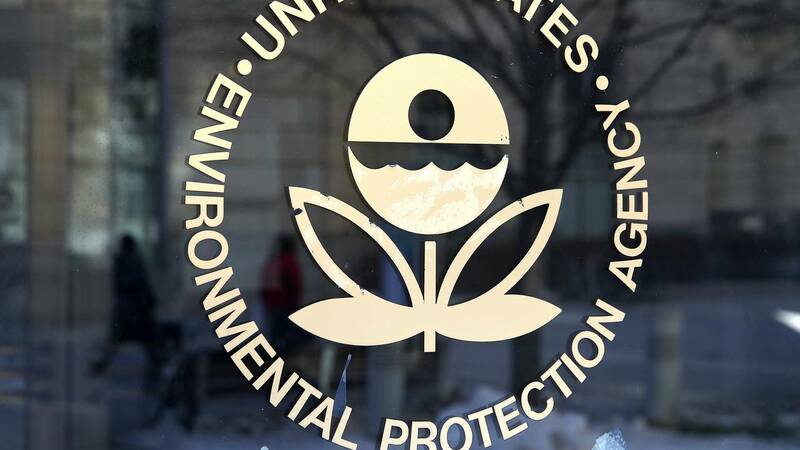 (CNN) - The EPA announced plans to change the definition of which waters in the United States are protected under the Clean Water Act on Tuesday -- a change President Donald Trump has been working toward since the beginning of his administration. The new rule divides US waters into six categories: traditional navigable waters, tributaries to those navigable waters, certain ditches -- including those used for navigation or affected by the tide, certain lakes and ponds, impoundments and wetlands that are adjacent to water covered by the rule. Acting EPA Administrator Andrew Wheeler signed the rule on Tuesday at an event at the agency's headquarters. Army and EPA staff attended the event along with Interior Secretary Ryan Zinke and a handful of senators and representatives. Alaska Republican Sen. Lisa Murkowski and Iowa Republican Sen. Joni Ernst spoke after the rule signing. Wheeler told reporters the goal of the new rule was to make it "clearer and easier to understand." He said the rule "will result in significant cost savings" while protecting the nation's waterways and reducing "barriers to important economic and environmental projects." The proposed rule is a policy shift from former President Barack Obama's 2015 waters of the U.S. regulation. Obama's rule changed the definition of what bodies of water the federal government had authority over to include streams and wetlands so that the government could ensure that those waterways remained pollution free. It changed the definition from the initial one established by the EPA and Army Corps of Engineers in the 1980s. "We need more protections, not less, when it comes to clean water," said Theresa Pierno, president and CEO of the National Parks Conservation Association, in a statement. "The proposed rule will take us back five decades in our effort to clean up our waterways. In fact, the administration's rule will actually pave the way for pollution that threatens our drinking water and national park waterways." The policy change is favored by manufacturers and farmers. Almost every senator and representative who spoke mentioned farmers in their remarks. Critics of Obama's 2015 rule, which included some in the farming community, complained that his policy restricted how they could use their land and had a negative economic impact on their business. National Association of Manufacturers President and CEO Jay Timmons, who attended the event, said the new policy was a "positive step forward for manufacturers" in a statement. "The uncertainty created by the overreaching and unfair 2015 WOTUS rule threatened manufacturing jobs, and it failed to protect clean water adequately," Timmons said in the statement. "Smart water policy is critical for all of us, and manufacturers are committed to keeping our promise to use the certainty we have been given to do our part to make our water and air cleaner — and our environment healthier. After all, the earth is the only home we have." Obama's regulation and the new proposed rule both fall under the Clean Water Act, which regulates discharges of pollutants into waters in the US. Under the Clean Water Act, it's illegal to discharge pollutants from a source into "navigable waters," according to the EPA. Wheeler said the new proposed rule would restore "rule of law" and "end years of uncertainty."